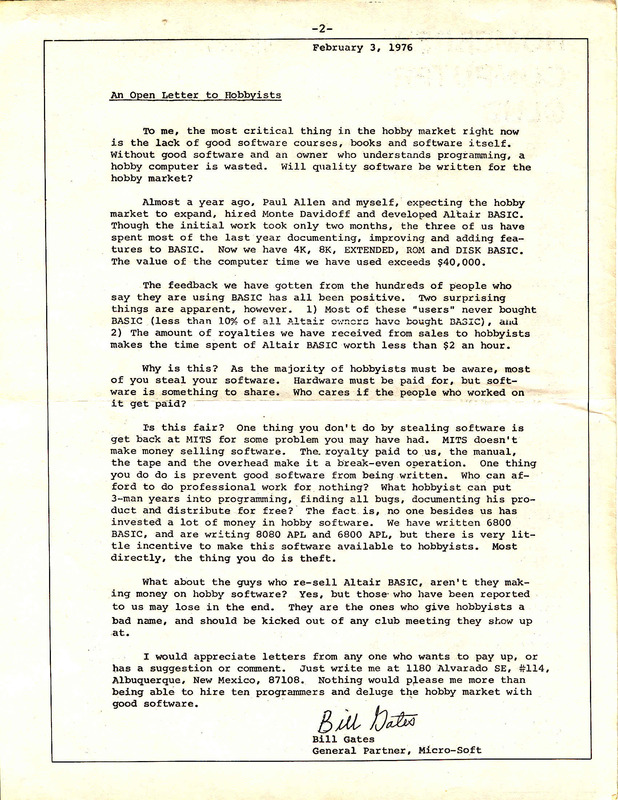 Volume 2 issue 1 of the Homebrew Computer Club newsletter contained the now famous letter from Bill Gates to the hobbyist community regarding the illegal copying of his then Micro-Soft company's BASIC paper tape. Click on the thumbnail below to see the letter as it appeared in this issue and also read the full text below. about the copying of BASIC paper tapes.